Teeth have been filled with metals for centuries and the amalgam debate has gone on just as long. It has been debated in dental circles since the 1830’s. However there have been studies that support that there is a link between mercury amalgams (silver fillings) and illnesses. Mercury is poisonous. Dr. Hartman has become very involved in the study of mercury toxicity and its impact on his patients’ health. Dr. Hartman stopped placing amalgam fillings in 1988. . Dr. Hartman is devoted to diagnosing and planning treatment for patients who may be suffering from possible mercury toxicity. Our office follows the Huggins protoocols for Amalgam removal. Find out what precautions the dentist of your choice uses to protect you from mercury exposure during amalgam removal. A dentist that takes no special precautions to protect you during amalgam removal can poison you further. It is possible to be subjected to very high levels of exposure during removal, if proper protocols are not followed. Ask your dentist if he or she does compatibility testing. 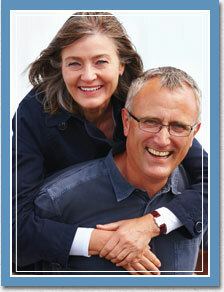 Dr. Jeffery Hartman has compatibility test kits available at his office. This kit, if the patient chooses to get it done, will ensure that the replacement material being used will be compatible for the patient at the time. Many people particularly those with compromised immune systems, could react poorly to some alternative replacement materials. Ask if your dentist uses an air purification or filtration system to minimize mercury vapor in the dental office. One of the systems Dr. Jeffery Hartman uses is the Mercury Vapor Ionizer. Find out what system he or she uses, before you visit the clinic. Dentist offices that do not have the proper equipment in place will have air quality that is far below safe occupational exposure limits. Ask what your dentist does for nutritional support before and after mercury removal. What protocol does the doctor use for nutritional support? Find out if your dentist belongs to any biological dental associations, such as the IAOMT. Very little time is spent in traditional dental schools teaching composite placement of dental materials. While composites are a superior filling material to mercury amalgam, they are very technique sensitive. If your dentist has not taken additional training and does not belong to any of the biological associations that address these problems, chances are that you will not be happy with the result. Don't be afraid to ask your dentist for referrals. Dr. Hartman has a list of referring amalgam removal patients that he invites new patients to call. Speak with a few of his patients who have had similar procedures done. Ask your dentist if he or she uses an amalgam separator to ensure that the hazardous waste materials being removed from your mouth are separated from the water and not being dumped into the environment. You have a right to be educated. Many are fighting for and on your behalf. Do your research and make sound, well informed decisions. There is significant evidence of the substantial damage that traditional dentistry has done.